In 1928, Victor Huet, a bistro owner, moved from Paris to the small town of Vouvray in the Loire countryside. The Huets purchased a small house and an accompanying three hectare vineyard which would become “Le Haut Lieu”. 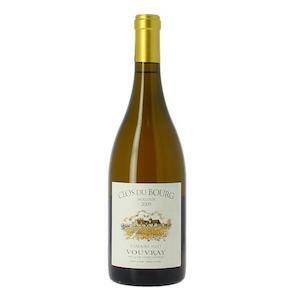 Today, Domaine Huet is regarded as the greatest producer in Vouvray and the undisputed master of Chenin Blanc. Chenin is an amazingly complex varietal that can produce world class wines at every sugar level and even as partially and fully-sparkling wines. “Sec”: dry, like a normal table wine. “Demi-Sec”: half-dry, or “a little sweet”. “Moelleux”: can be understood as “soft”. Often, these grapes are botrytized and a little sweeter still, but balanced by naturally high acidity. “Premiere trie”: “first pass through the vineyard”, an indicator of this tier being the highest quality of fruit harvested. This term indicates the best Moelleux wine that Domaine Huet produces. Production is small and availability of these wines is limited. Please submit your requests as soon as possible. This offer will close in two weeks. We sell only by the unmixed case lot. The wines will arrive in 12-14 weeks or so. No payment is necessary until we arrange delivery. All prices here are best estimate at this time and are exclusive of HST and bottle deposit. This wine is 100% Chenin Blanc (as opposed to the blends of Champagne). 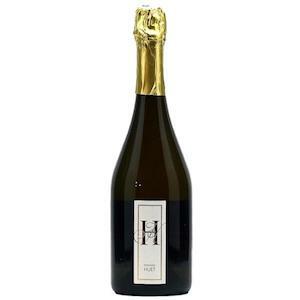 The production method is Champenoise or “the Traditional Method”, in which the second fermentation takes place in bottle. It’s a four-year process from start to finish. 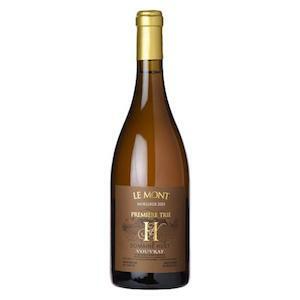 Huet’s Vouvray Pétillant shows a refreshing bouquet of tropical, floral, yeasty, and nutty aromas. 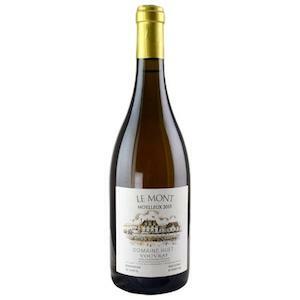 It is elegant, light, and structured, with a persistent mousse, underlying minerality, and lovely honey and rich citrus flavours. The finish is crisp and dry. As Jancis Robinson suggests, this wine would undoubtedly put a good number of Champagnes to shame. It’s a terrific bottle to keep on hand. 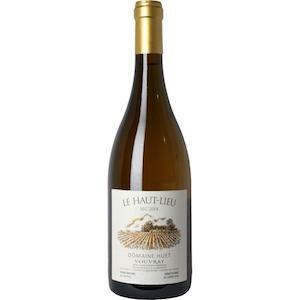 All three Huet vineyards can be considered Grand Crus of Vouvray, but “Le Haut Lieu” is the original. 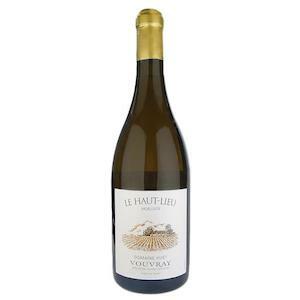 The vineyard covers nine hectares and has very deep clay-limestone soil, predominantly brown clay. There are plenty of calcareous and silica-based soils too. This rather heavy soil profile generally produces charming, supple wines that are full of character. 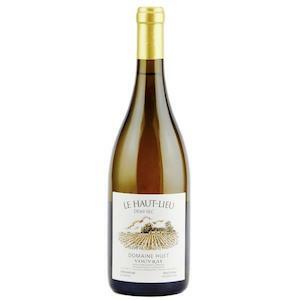 Le Haut-Lieu Sec is one of my favourite wines, from anywhere, every year. The nose is pure, fresh, and chalky, uniting florals and green citrus. On the palate, it is full-bodied, ripe yet mineral-rich. The palate is powerful and elegant; fine, tense, and nervy. The 2017 has yet to be reviewed, but Robert Parker’s Wine Advocate’s reviews for the previous five vintages (2016 – 2012) were consistently strong: 90, 93+, 91+, 91+, and 92 points respectively. This six hectare “Clos”, a vineyard surrounded by stone walls, is located on the first slopes above the church that sits in the village of Vouvray. The rather thin soil, only about one metre deep, lies in direct contact with the limestone base. Clos du Bourg produces a powerful and well-structured wine. The 1947 Le Haut Lieu Moelleux is widely considered one of the greatest white wines ever made. Robert Parker’s Wine Advocate has singled out the 2015 vintage as “an exceptional and historic vintage again at Huet”. This is a wine for the ages. The soil of Le Mont is pebbly and consists mainly of green clay and silica. The wines produced in this vineyard are traditionally elegant and poised.